How to get Tourist visa to Brazil | Go For Visa | Australia Immigration Consultant & Visa Experts in India. 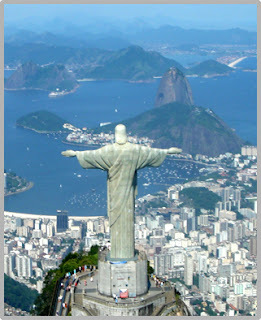 In order to travel to Brazil, an individual must have a valid visa. For foreign visitors, tourist visa is most common type of visa to enter into Brazil. A Brazilian tourist visa remains valid for 90 days from your day of entry and it can be renewed for 90 more days. Before applying for Brazilian tourist visa or any other type of visa, foreigners have to meet all the requirements imposed by Brazilian Government for tourists of different countries. Here are some vital steps which an individual has to follow in order to avail tourist visa to Brazil. Download visa application form from official website of Brazilian consulate. You have to enter detail reasons of your visit to the country. If you are above 18 years of age then you can sign on your form. If you are below 18 years of age then parents are allowed to sign on behalf of their child. A candidate must possess passport with a validity of more than six months. The passport must have at least one blank page where officials can stamp the visa. You will also need passport size photograph of 2 by 2 inches. It can be color or black & white. However, it must give front view of your face with a background in white color. The next step is to attach the flight itinerary tickets along with photo to your visa application form. American citizens may have to pay a non-refundable fee. It can be submitted along with your application form and must be in the form of cashier’s check or money order. If you are not a US citizen, then ‘Go for Visa’ will help you to figure out the amount of application fees you need to pay. The final step is to send your application via mail to Brazilian consulate which comes under your own jurisdiction. Make sure to add all the necessary paper work in your envelope before sending it to consulate. If you wish to obtain some more information on Brazilian tourist visa or any other type of visa to Brazil then it is better to seek advice from recognized online expert like www.goforvisa.com. Authorized Visa Agents such as ‘Go For Visa’ can definitely provide you proper guidance on tourist as well as business visa to Brazil. In case you have any further doubts, don’t hesitate to get in touch with us at info@goforvisa.com. I wanna apply for a visa and travel to brazil too, travel visas are the easiest to attain right.